NEW DELHI: Facebook routinely keeps tweaking the design of its Home screen. The latest tweak to the Home screen apparently improves navigation and makes for better readability. The latest redesign is for Android users as of now. It is worth noting that while some have started seeing these changes, others will get to see it in upcoming weeks. The company has updated how comments on the posts look like. Users will now be able to easily see which comments are direct replies to another person. The comments now look similar to Messenger chat thread as they are now seen in a bubble instead of being placed between two lines. The positioning of reactions on the comments has also been modified. Even the section where users type the comment has been tweaked to look more like Facebook Messenger. For easy readability, the company has increased the colour contrast so that typography is more legible, has made larger link previews for easy read and has updated Like, Comment, and Share buttons, making it larger and easier to tap. Another change one might notice is the new circular profile pictures in the comments section and in the news feed. For now, the Facebook shows square-shaped photos both in comments and in the News Feed. For better navigation, the company will now let users see where a link will take you before clicking on it easily, see who’s post you’re commenting on, reacting to quickly, or reading while you’re in the post and easily return to News Feed once you’ve finished reading via a more prominent back button. Facebook-owned photo sharing portal, Instagram too has received a slight design change. The team has made changes in the conversations section, making it easier to add comment threads. “Comment threads help you keep track of conversations and make it easy to respond to a specific thread. This update will make your feed an even better place to share interests, get inspired and connect with others,” says the blog post. Once commented, the response will stack under the thread for easy read. 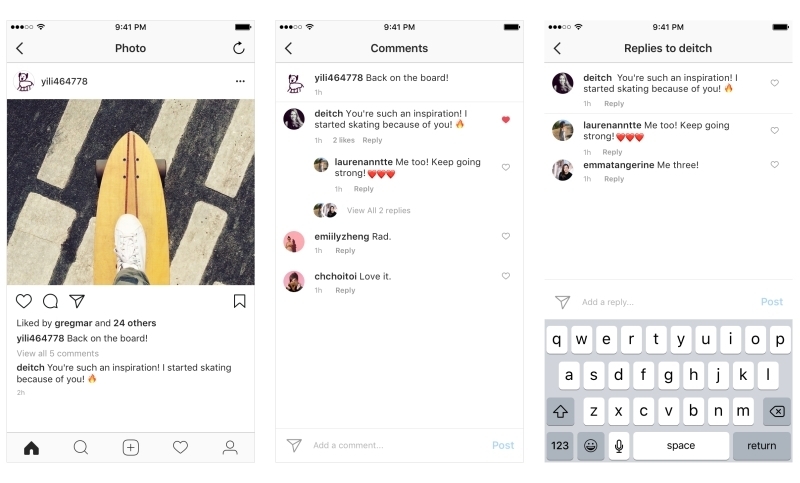 Instagram says the change will come as a part of the version 24 in the coming weeks for iOS and Android platforms.